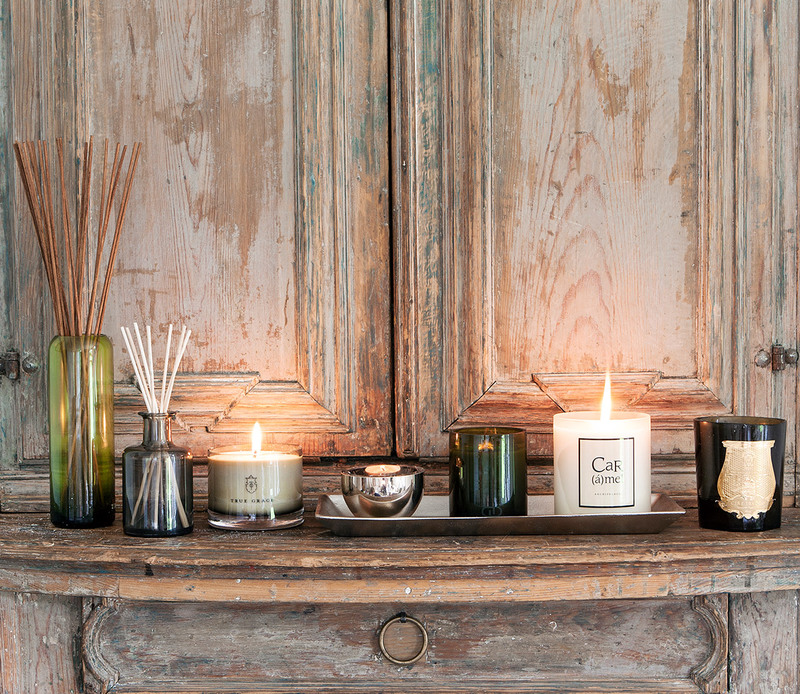 Scented candles have the ability to sooth or invigorate the senses, so selecting the right fragrance for the different rooms in your home is essential. Calming scents in the bedroom can transform the space into a tranquil haven, whilst energising aromas in living areas can encourage productivity. Scented candles are a must for any home and are perfect for transporting you into a world of revitalising or relaxing fragrances that linger subtly in the air. Whilst scented varieties are extremely popular, there is still a high demand for decorative candles, purely designed to give any room an atmospheric glow or even to be simply admired, not lit. From brightly coloured tapered candles to add a pop of colour to any setting, to thick pillar varieties which beautifully illuminate a room, there are a wide range of unscented candles that look stunning when lit. There are numerous types of wax used to create each candle and you can easily find ingredients to suit even the most particular requirements. For the environmentally conscious, there is an array of natural, clean burning candles created from organic wax featuring no synthetic ingredients. Natural beeswax, soy and coconut wax are other environmentally friendly options. The materials used for candle wicks have also been targeted to ensure they comply with the current demand for clean burning home fragrances. Cotton and linen wicks maintain even burning every time they are lit. For larger candles additional wicks are added; this does not affect the burn life but ensures that the entire candle is used as opposed to the hollowing in the centre that can occur with some varieties. 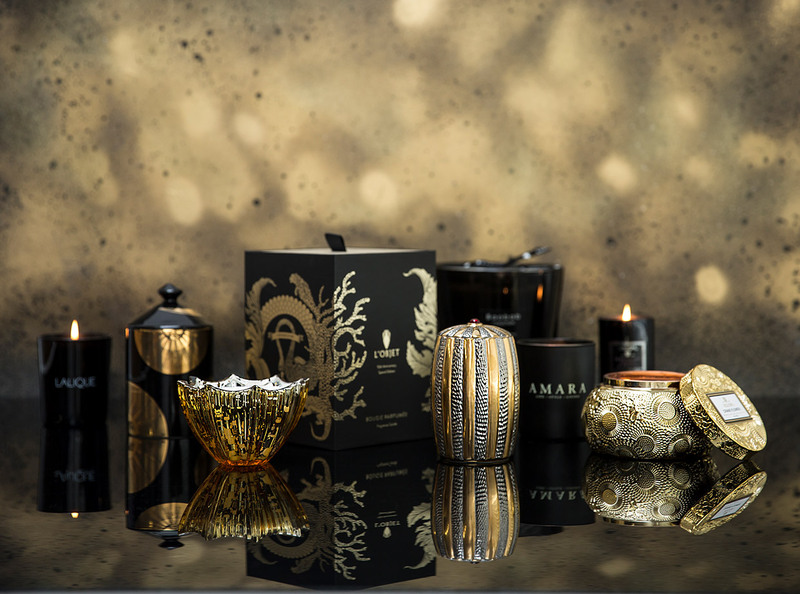 A candle’s burn life is dependent on its size and how it is cared for; tealights can be expected to last for up to five hours whilst the largest candles at Amara feature up to seven wicks and can burn for a staggering 800 hours. For information on a candle’s burn time please see each item’s individual product description. Reed diffusers are a constant fragrant companion for your home. 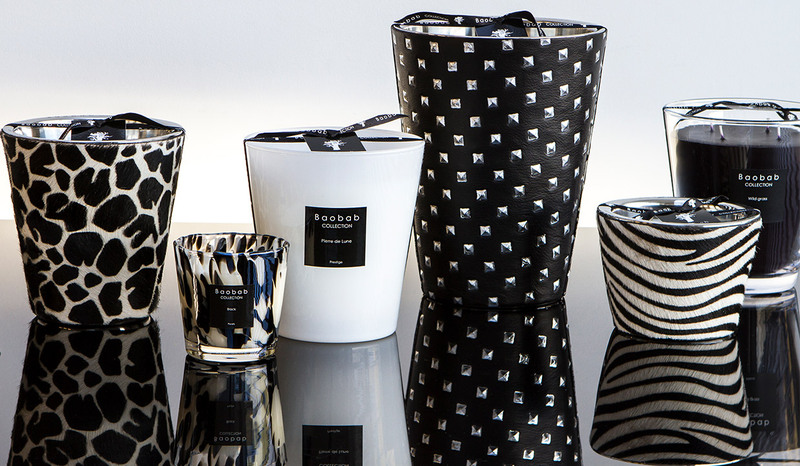 Long lasting and with bountiful scent options available, they are a fabulous way to ensure your interior spaces are always perfumed and create an inviting environment for guests. Remove the bottle cap/cork and insert the included reeds into the oil. A lid with an opening for the reeds is sometimes provided to cover the top of the bottle, if so attach this before adding the reeds. Ensure the reeds are evenly spaced to gently diffuse the scent into the room for months to come. The length of time that a reed diffuser will remain fragrant depends on the number of reeds and the amount of oil in the bottle. Reed diffusers are available in capacities ranging from 100ml which should last for up to three months to much larger 2.5L bottles which can last up to a year. We suggest reversing the reeds about once a week to ensure the perfume continually permeates the room. Certain factors can affect how quickly the diffuser oil will be used. Heat will cause the oil to be absorbed more quickly by the reeds, therefore diffusers should be kept away from direct sunlight and radiators. Moving or rising air will also shorten the lifespan of a diffuser, so ensure they are not placed in draughts or near open windows. A wide range of refills are also available in a host of favourite fragrances, so never fear if your beloved diffuser runs out of oil. 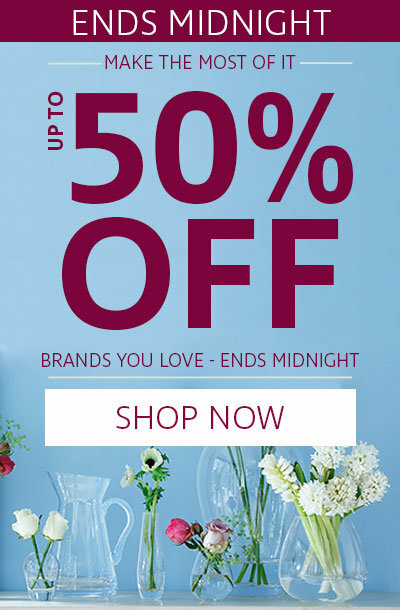 Usually displayed in stunning glass bottles which can be stylishly simple or beautifully adorned, reed diffusers are not just a practical home addition, but a must-have decorative ornament for any room. Catalytic diffusing lamps, or fragrance lamps, are an effective and efficient way of filling a home with subtle scents. Operating on the process of catalytic combustion, the lamps purify the air by destroying odour molecules, eliminating bacteria and germs, and increasing oxygen levels. Unlike room sprays, candles and diffusers, catalytic lamps do not mask an odour, but actively purify, cleanse and perfume the air. A decadent range of Dr Vranjes and Lampe Berger catalytic diffusers are available from Amara, along with a wide selection of signature fragrance oil refills for you to instantly invigorate your home with your favourite scent. Select your desired fragrance oil and pour into the catalytic lamp. Fill the diffuser bottle according to the brand instructions, typically between ⅓ to ⅔ capacity. Insert the catalytic wick into the lamp, cover with the snuffer cap and allow to soak for approximately 20 minutes. Stand for longer for the first lighting of a new wick. Light the catalytic wick and leave for at least 2-4 minutes before extinguishing. Once blown out, place the decorative lid over the wick. Perfumed oxygen will be released into the room to diffuse and dispel the unwanted odours. 30 minutes is all that is needed to fully fragrance a 20m² room for the day, making this type of diffuser a powerful option. Once your room is beautifully fragranced, remove the decorative lid and replace the snuffer cap. Cutting off the flow of oxygen will end the catalytic process. Catalytic diffusers are an easy way to instantly refresh a room and can be reused time and time again. Place the lamp on a stable, level surface, away from heat sources or flammable materials. Take care not to overfill the lamp. Always adhere to the instructions given by the brand. During the 2-4 minutes that the wick is lit, do not leave the flame unattended. After blowing out, take care as the wick will be scalding hot. After 30 minutes of burning, remove the decorative lid with caution and immediately cover the wick with the snuffer cap. This will stop the catalytic process and prevent the fragrance oils from evaporating when the lamp is not in use. Another way to gently perfume a room is through an ultrasonic diffuser. Through nebulisation these diffusers use soluble fragrance combined with water to disperse a scented mist into the room. Add 3-10 drops of fragrance depending on the strength required to 100ml of water in the diffuser, when connected to a mains supply it will subtly release the mist. Ultrasound diffusers instantly refresh a room, by cleaning and subtly humidifying the air. The Millefiori Ultrasound diffuser is not only a fabulous home fragrance solution but also a striking design feature with its coloured light changing capabilities. Please note that water soluble fragrances are only available separately. The home fragrance industry is constantly evolving to incorporate new ideas to break away from traditional scenting options, Herve Gambs’ artificial flower diffusers are one of these fabulously original ideas. Created to use in conjunction with Herve Gambs room sprays, these artificial flowers are perfect for dispersing divine fragrances into the air. Herve Gambs offers a beautiful range of couture rose diffusers that include a small bottle of signature room spray along with a stunning single rose in a glass holder. All that is needed is a quick spritz on the petals to transform it into a hassle-free decorative fragrance option for your home.